Aurelia Spencer Rogers, a 44-year-old mother of 12, felt strongly that something should be done about the behavior of the neighborhood boys who ran freely through the town day and night. She felt many of these children were not being taught basic principles and values and therefore would not be prepared in either knowledge or behavior to carry the gospel forward, or even to be good parents or citizens. Sister Rogers discussed her concerns and a plan of action with General Relief Society President Eliza R. Snow. With the approval of President John Taylor and after receiving a calling from her bishop, Sister Rogers began planning for the first meeting of the Primary Association. Since these leaders decided that “singing was necessary,” girls were also invited to “make it sound as well as it should.” Children ages 4 to 14 were invited to participate in the first Primary. Under the direction of the priesthood, the first Primary was held in the Farmington Rock Chapel on Sunday, August 25, 1878, with 224 children attending. Now, more than 130 years later, this organization for children has approximately one million attending. While Aurelia Rogers never served as General President of the Primary, she has always been recognized as its founder. During its first decade, the Primary Association was organized in almost every LDS settlement. From its beginning, Primary included songs, poetry, and activities. All the children met together during the first 10 years. After that, they were divided into age-groups. During the earliest years of Primary, Eliza R. Snow, as General President of the Relief Society, was the de facto General Primary President. She traveled throughout the Latter–day Saint communities of the American West, encouraging the organization of local Primaries and instructing new presidencies. Thirty–year–old Louie B. Felt was the Primary president of the Salt Lake City Eleventh Ward when she was called as the first General President of the new Primary Association in 1880. She continued her service as the ward Primary president and only gradually assumed full leadership responsibilities for the general Primary. Before Sister Felt was released in 1925, much that is still familiar in Primary today was in place. In 1925, longtime Primary worker May Anderson became the second General President of the Primary. Sister Anderson, a convert from England, met Sister Felt only five years after the Primary had first been organized. They became close friends, and she was soon called as the secretary to the General Primary Presidency and then served for many years as a counselor to Sister Felt before receiving her call as General President. Having lived outside the American West much of her life, May Hinckley brought an appreciation of the challenges those members faced to her call as the third General President of the Primary in 1940. During her short three and a half years of service, Sister Hinckley and her board created a new curriculum that consolidated the spiritual foundations of Primary and added a scripture reading program for leaders and teachers. Prior to her call as the fourth General President of the Primary in 1943, Adele Howells had been editor of the Children’s Friend, making it much more child friendly, and she continued that interest throughout her service. She commissioned Arnold Friberg to create his now-famous series of Book of Mormon paintings for the magazine and encouraged children to contribute dimes for the new Primary Children’s Hospital. During Sister Parmley’s 23 years as the fifth General President of the Primary, Scouting became an important part of the boys’ program. The girls were encouraged to bring their own copies of a special edition of the New Testament to Primary. The favorite song “I Am a Child of God” was introduced in 1957, the new Primary Children’s Hospital was completed, and the Friend magazine became the Church’s magazine for children. The theme of Sister Shumway’s administration was “Primary is to train, not entertain.” As the sixth President, she worked to strengthen the spiritual foundation of every child; reverence and teacher training received renewed emphasis. The worldwide Church was now a reality, and every decision had to be considered by how it would affect the newest branches in far corners of the world. In 1978 the Primary celebrated its 100th birthday. Dwan Young, seventh General Primary President, took over the reins of Primary in 1980 just as the consolidated meeting schedule was being implemented worldwide. New curriculum was prepared for Sunday Primary, with program adjustments that met the circumstances of members around the globe. With Primary now an hour and a half, sharing time became an additional means of involving children and teaching the gospel. Church programs continued to be simplified during the years of Sister Grassli’s presidency. Rather than sending out scripts for the annual Primary sacrament meeting program, a short booklet outlining the annual theme with suggestions for implementing it during the year now went out to all Church units. After 10 years of development, the beautiful new Children's Songbook was also introduced during these years. As the Church continued to grow, the Primary needed to adapt to an ever wider range of circumstances. During her tenure as the ninth President, Sister Pinegar organized a simply structured curriculum. Now all Primary classes would be taught from only three different manuals a year, depending on the ages of the children. An expanded Achievement Days program for girls 8 to 11 years old paralleled the Cub Scout program for boys. Sister Menlove’s focus as the 10th General President of the Primary was to prepare children for their future roles in the Church. In 2003, a new Faith in God program was introduced with separate guidebooks for boys and girls that were designed to help boys prepare for the Aaronic Priesthood and girls to become righteous young women. The Primary website on LDS.org was also launched and expanded during her years of service. During Sister Lant’s years as the 11th General President of the Primary, the format of the outline for sharing time was revised and a Gospel Art Book was published, helping children learn more directly from the scriptures. Also, a new nursery manual was published and a new Church handbook, published in 2010, helped leaders and teachers use gospel leadership principles to prepare and plan for gospel growth. Sister Rosemary M. Wixom was sustained as the 12th General President of the Primary on April 3, 2010. She was raised in Salt Lake City and attended Utah State University, where she graduated in elementary education. She and her husband, B. Jackson Wixom, are the parents of six children and have nine grandchildren. Before her call as president, she served on the Primary general board, the Young Women general board, and with her husband as he served as president of the Washington D.C. South Mission. Sister Joy D. Jones serves as the 13th General President of the Primary. She was born in The Dalles, Oregon. She met her husband, Robert B. Jones, while they were both students at Brigham Young University, and they were married in the Manti Utah Temple in August 1974. They are parents to five children, and they have 19 grandchildren. 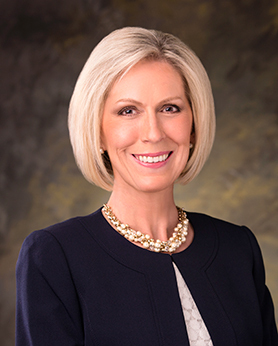 Before her call as president, she enjoyed many leadership opportunities within the Church in various ward and stake capacities in the Primary, Young Women, and Relief Society organizations, as well as serving on the Primary general board.